Serving homeschool student athletes in Houston, Conroe, Montgomery, The Woodlands, Magnolia, Spring, Tomball, Huntsville and surrounding Texas areas. Updated Sunday August 5, 2018 by Houston Homeschool Athletics. HHA's 2018/2019 BASKETBALL SEASON BEGINS SOON - JOIN US AND BE A PART OF THE FUN!! Basketball Evaluations will be on September 7th and 14th from 6:00 - 8:00 pm at MI3. We want YOU to be there. HHA BASKETBALL PRACTICES BEGIN ON SEPTEMBER 24th. Summer 2018 training opportunities are available too. See menu "Basketball Training Opportunities 2018" for more information. SIGN-UP FOR AN ACCOUNT TO RECEIVE OUR EMAILS. Signing up for an account is free. Click the green log in button on the top right and then select create an account. YOU CAN ALSO CHECK OUT OUR FACEBOOK PAGE - HOUSTON HOMESCHOOL ATHLETICS OR FOLLOW US ON TWITTER @hhamavs. EVALUATIONS/OPEN GYM: HHA welcomes homeschooled kids of all skill levels (Ages 8-18). The evaluations and open gym are used to introduce players and parents to HHA basketball and establish teams. Basketball Evaluations will be held on September 7th and 14th from 6:00 - 8:00 pm at MI3. We want YOU to be there. HUNTSVILLE Middle School Team: HHA is also offering a boys Junior High school team out of the Huntsville area. If you live near Huntsville and would like more information, please contact David Jones at davidjones68@gmail.com. 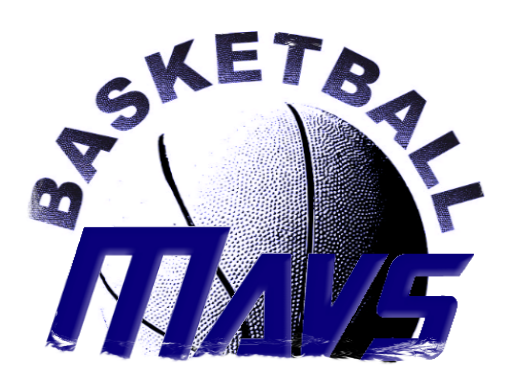 Information is on menu option "Huntsville Maverick's Basketball." Practice Times: Every Monday and Thursday from 7:00-9:00 AM at MI3 Center starting Sept 24th. Game Schedule: HHA will play against public, private and homeschool teams. The game schedule will be posted in September and October on SIPlay. Preliminary schedules can be viewed on google calendar. Links are provided below. SIPlay Phone App is best way to keep up with schedule and changes. Schedule is also listed on this website and can be accessed through the SIPlay phone app. We highly recommend everyone downloads SIPlay app (free of charge) and log in with the same login email and password used when registering. Messages can be sent to coaches and teammates easily through this app. The schedule is always subject to minor changes. Parents should check the schedule weekly to aprise themselves of any last minute changes in time or location. Each HHA team (12U and up) will attend at least one out of town homeschool tournament during the season. Teams will have option of concluding the season with the Texas Homeschool State Basketball Tournament scheduled for February 7-9, 2019 in Austin, and 14U teams and above can attend the East Coast National Tournament at Liberty University in March, 2019. Parent Volunteer Expectations: When you register to play for HHA, you will be asked to volunteer. A variety of jobs are open but it is your responsibility to make yourself available to the team mom or administrative staff. Volunteer requirements include (1) working during our Space City Jam Tournament in January and (2) keeping the game book or clock for at least 2 games during the season. Coaching volunteers will receive discount on team fees. Fees: Current fee information can be found in pull down menu to the left under Basketball. Volunteer 4 hours per player at the tournament with an 10 hour family maximum. If you do not wish to work or bring a food item, the buy-out for Space City Jam is $100 due by 11/1.